Welcome to Austin Wellness Chiropractic Center! Austin Wellness Chiropractic Center is located in beautiful Northwest Austin, Texas right off 620 and 2222 behind the Walnut Cafe off of River Place Blvd. Our office is located inside of Four Points Chiropractic and we offer a boutique like style of practice in which we are dedicated to serving families including infants, children, teens, pregnant moms, and active adults towards a healthier and brighter world. Dr. Katie Greeley has an additional specialization and certification in chiropractic for prenatal care and children in addition to her general family practice. Austin Wellness Chiropractic Center helps Austin, Texas moms, dads and children stay healthier and happier! Patients seeking care from the Austin area including communities located in Steiner Ranch, River Place, Volente, Grandview Hills, Westminster Glen, Jester Estates, Canyon Creek, Lakeway, Lake Travis, Twin Creeks, Deer Creek, and other surrounding areas of Cedar Park. At Austin Wellness Chiropractic Center with Dr. Katie Greeley patient’s are assured of receiving only the finest quality care through the use of various techniques and nutrition. We take great pride in offering healthy alternatives for our patients. 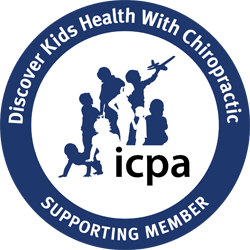 Chiropractors work with the body’s ability to adapt and function the way it is designed to. Dr. Greeley started the Austin Wellness Chiropractic Center specifically to help children and adults with their health and wellness needs. We have spent many years practicing the art of Chiropractic and we enjoy taking the time to meet with each new patient so we can treat not just their problems, but their entire well-being. If you are new to our website, please feel free to explore our pages for great articles and resources on wellness and health.